Scientists have made a direct connection between an algae bloom in the Arabian Sea, which has blown up to the size of Mexico, and climate change. The massive bloom has been captured from satellites. 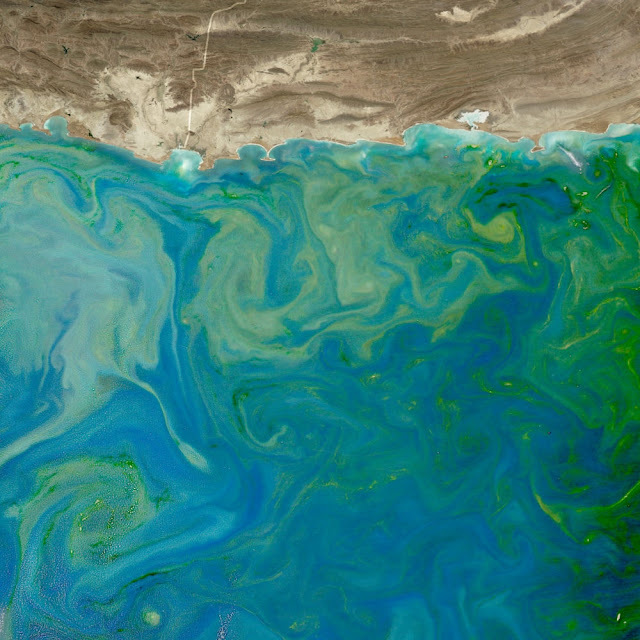 30 years ago, algae in the Gulf of Oman could barely be seen. Now, twice a year, microscopic organisms of the species Noctiluca scintillans turns the gulf green as it sprawls throughout the Arabian Sea towards India. Scientists say conditions produced by climate change are allowing the algae to thrive. Columbia University researchers have even traced the algae blooms to ice melting in the Himalayas. Satellite technology has also allowed researchers to connect algae with greater levels of water and air pollution. "We know that our Earth is changing. It may be in a direction we might not like." The phenomenon threatens local ecosystems; algae has been known to paralyze fish. The United Nations' science agency says in rare cases algal toxins have killed humans. Oman faces unique threats from the algae bloom. There, algae can clog pipes at desalination plants providing as much as 90 percent of fresh water for the country. Fisheries in the country could also be harmed by the algae bloom; in 2008 an eruption of a different type of algae beached 50 tons of fish, which were starving for oxygen and rotted along the coast of Oman. Saleh al-Mashari, the captain of a researcher vessel, said this algae bloom has already caused damage. He told the Associated Press, "The fish are migrating. They can't get enough air here." Ahmad al-Alawi, a marine ecologist, said blooms are getting larger and lasting for longer periods of time. He said the blooms displace zooplankton, which are the base of the local food chain.